Bumping into the market by accident in my very first days in Bologna, I was overwhelmed and thought: This is why I´m here! 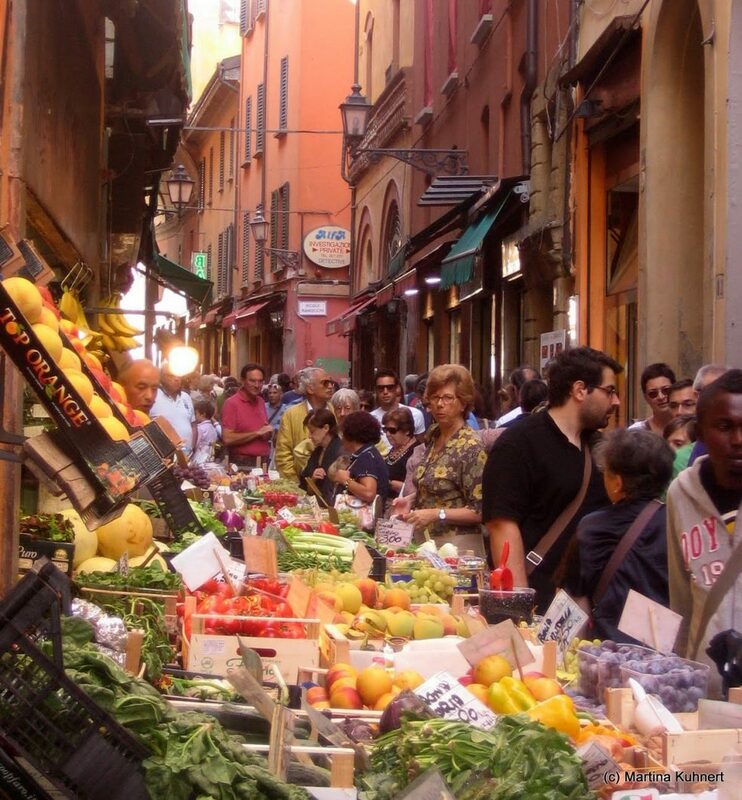 Small streets with tiny shops side by side, showing their delicious fruits and vegetables on the street, Italian men, but mostly woman having a critical eye on it and chatting with the vendors, real Italian street life! It´s noisy, it´s crowded and it´s intimidating if you´re not a part of it, if you´re just someone who doesn´t know where to go and what to buy because they sell lots of things you´ve never seen before. 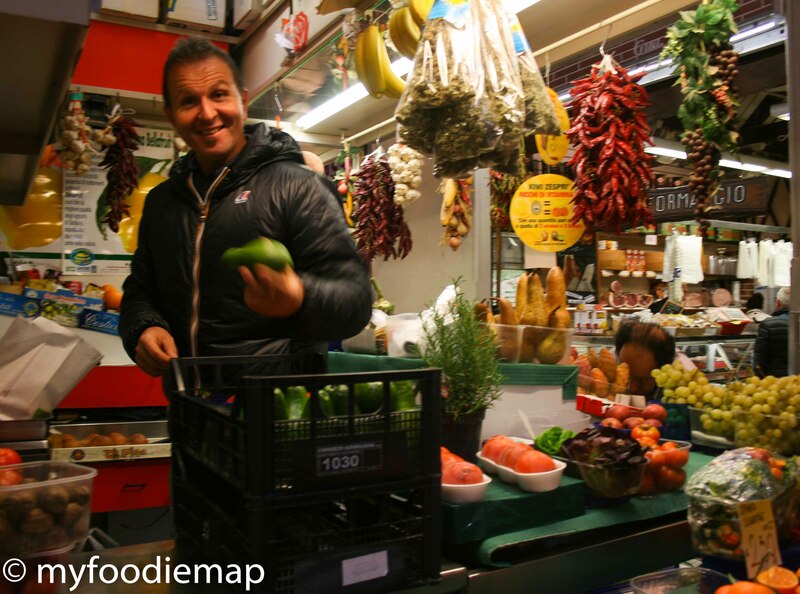 Shops like Simone are stuffed with Ham, Salami and Cheese, just ordering Parma Ham would expose you, Italian´s are telling the vendor exactly what they want: hard or soft, sweet or salty and from which area. We stroll two different markets in town, stop here and there to taste and on our way we buy lunch, (foccacia, olives, salami, ham, parmigiano cheese, Mortadella…) and eat it in the oldest Osteria in town, of course we pair it with a glass of wine. ca. 3 hours, group size 2-4 pers.